- Iceland 24 - Iceland Travel and Info Guide : What does the Icelandic flag symbolize? Flags are a common element of our society. They’re so ubiquitous that we often don’t even stop to think about them. At school, you simply study them, memorize them and associate them with a particular country. Rarely do we go any deeper into their meanings. The truth is, a country’s flag is not something they just randomly picked one day. There’s always a story behind that flag, sometimes on many levels. 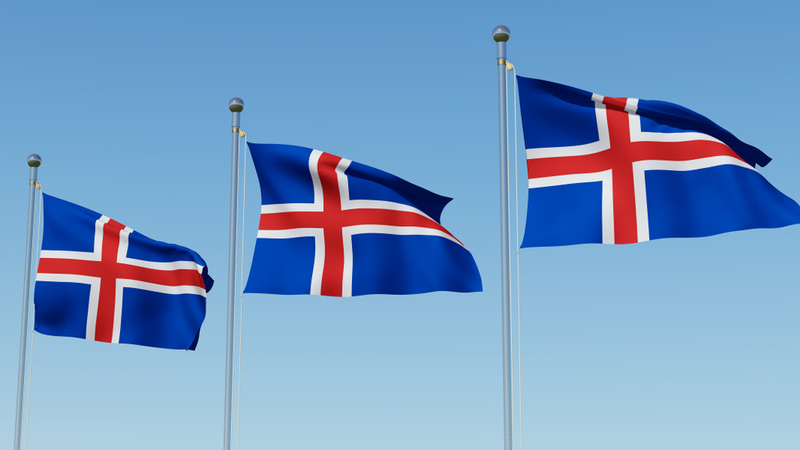 Let’s go beyond the surface and take look at the Icelandic flag and what it symbolizes. That way, when you visit Iceland you will know a little bit more about the country than the average visitor. Who hasn’t proudly whipped out their country’s flag at the Olympics, the World Cup or some other international event? Or maybe you’ve even painted your face with the colors of your flag? Perhaps during a day of national celebration like Independence Day in the United States or Bastille Day in France. You are sure to see flags waving during these types of parades and processions. The point is, at some time in our lives we’ve all used a flag for something. The function of a flag is to represent a specific group within society, transmit certain messages or delimit territories. 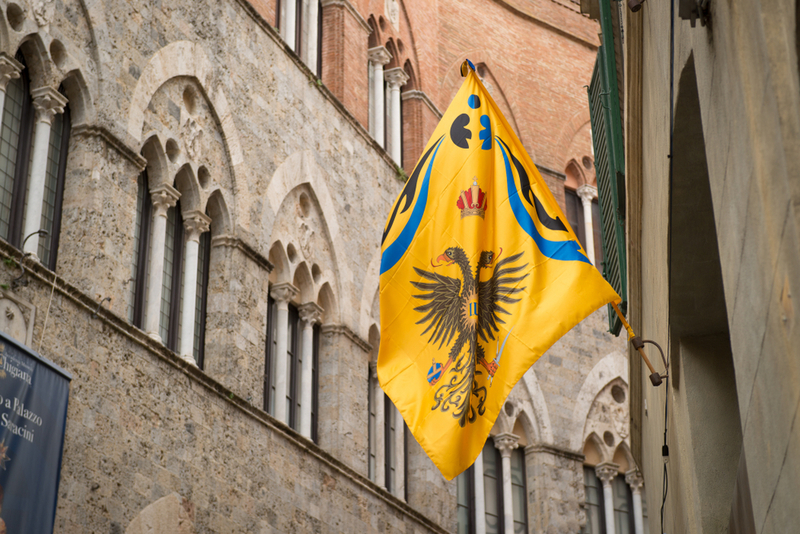 Although it may be hard to believe, flags are not a modern invention. Did you know that one of the first mentions regarding the existence and use of flags dates back to 5,000 BC? They frequently used the chiefs of the tribes as a symbol representing specific groups. Returning to a less distant past, other ancient civilizations like the Romans used banners with symbols related to the empire. These banners were molded in such a way that they became more flexible and portable. They were used with the cavalry and were placed on animals or on poles to fly in the wind. These banners eventually became flags as we know them today. The Roman legions were represented by an eagle. But what about the Icelanders? The Icelandic flag is relatively new. It was officially adopted on June 1944, the day on which Iceland became a republic. 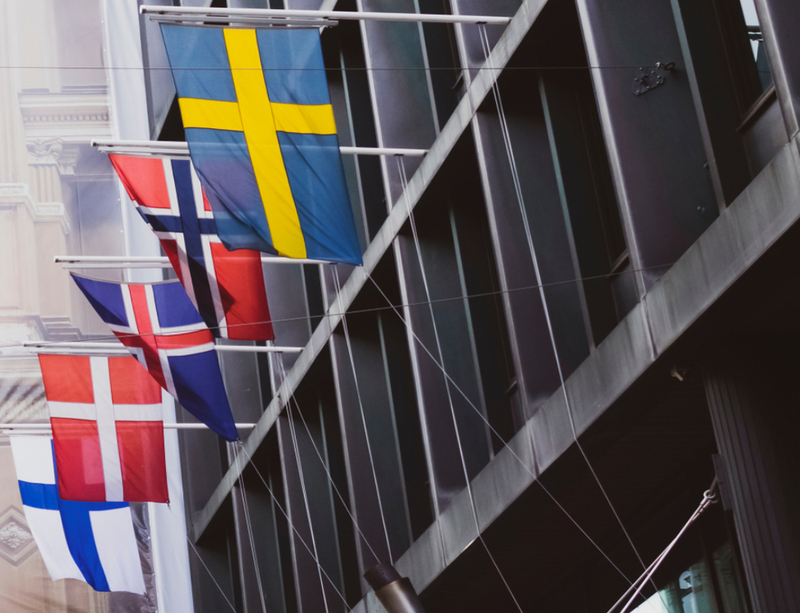 Iceland was previously under the rule of the Danish crown, which is why they did not have a national symbol that they could call their own. Even so, part of the history and relationship with the Danish people is still reflected in the symbolism of the flag. The Icelandic insignia consists of a blue background with a white cross and inside of it, a slightly smaller red cross. This cross is known as the Nordic or Scandinavian cross. All Scandinavian countries, with the exception of Greenland, have adopted this symbol in their modern flags. The first flag to carry the cross was the Danish one, which was used as a badge on their merchant ships. The cross represents Christianity and has the peculiarity of not being centered, but rather is located in the left of center on each flag. You can see why when the flags are hung from a different angle. Apart from the symbolism of the cross, the colors of the Icelandic flag are also loaded with meaning. For most Icelanders, it is the reflection of the landscape of their beautiful country. The flag has a blue background that represents the waters of the Atlantic Ocean, which surrounds the island on all four sides. The red inside the cross, is reminiscent of the lava of the many active volcanoes that the island has. And finally, the white background of the cross is for the snow and ice that covers much of the country. Icelandic law will put you in prison for up to a year in cases of disrespecting the country’s national symbol. There are also a series of instructions on how to fly it. It should not be flown until 7:00 in the morning. It is not recommended to fly it after sunset. If it is still flying at this time, it shouldn’t go past midnight. This does not apply to official events, funerals or other acts of commemoration where the flag can fly as long as the event lasts. So there you have it! You are now an expert on Iceland's flag!